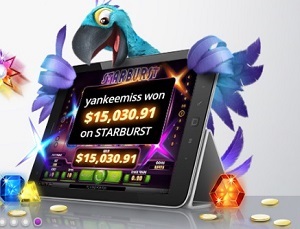 Karamba is one of our favorite online casino’s because of it’s seamingly huge variety of mobile slot games and mobile scratch card games included in their app. They have all the great slots available, such as the Gonzo’s Quest, Starburst, Twinspins and Macau Nights. To name but a few. An excellent line up indeed. 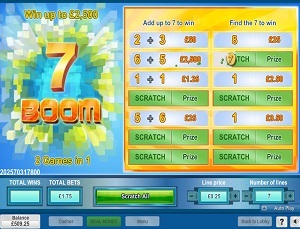 Scratch Games include the 7th Heaven, Lucky Charms, X&O, Diamond Duet, Roll the Dice and the 3WOW!. Popular cards that you find at most casino’s, however not all of them have them available in their mobile app. A Real plus when it comes to playing at Karamba Mobile. At the moment Karamba offers new players a welcomebonus up to € 200, and no less then 100 FREE SPINS on their video slots. That means you get to spin the reels 100 times for real money prizes, without having to deposit any money. If that’s isn’t just te best way to try out a real money casino app we don’t know what is. 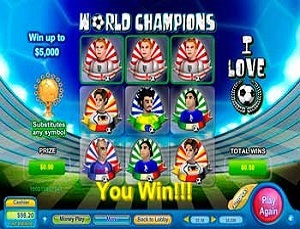 The app is easy to use and fast to load: you land on a fluid interface page which immediately features their popular slots and scratchcards, as well as their mobile roulette game. All games are playable in the Demo mode, so you are completely free to try out every game you want before considering playing for real cash.